Item # 316128 Stash Points: 2,495 (?) This is the number of points you get in The Zumiez Stash for purchasing this item. Stash points are redeemable for exclusive rewards only available to Zumiez Stash members. To redeem your points check out the rewards catalog on thestash.zumiez.com. Freshen up your daily looks with some iconic skateboarding-inspired fashion and the Bones Powell Peralta Shred Navy T-Shirt. 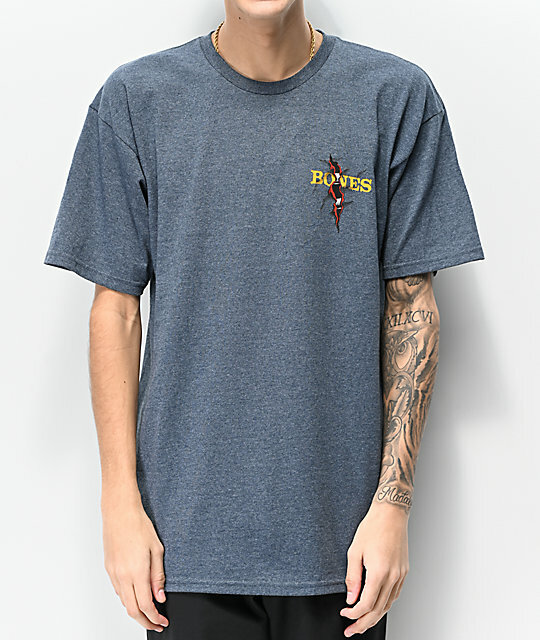 With screen-printed yellow logo script at the left chest and back accompanied by exposed rib cage images behind, this shirt boasts an original look. 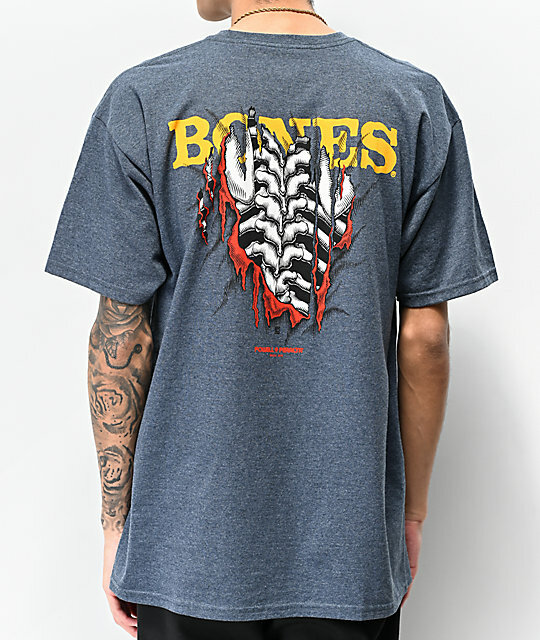 Powell Peralta Shred Navy T-Shirt from Bones. 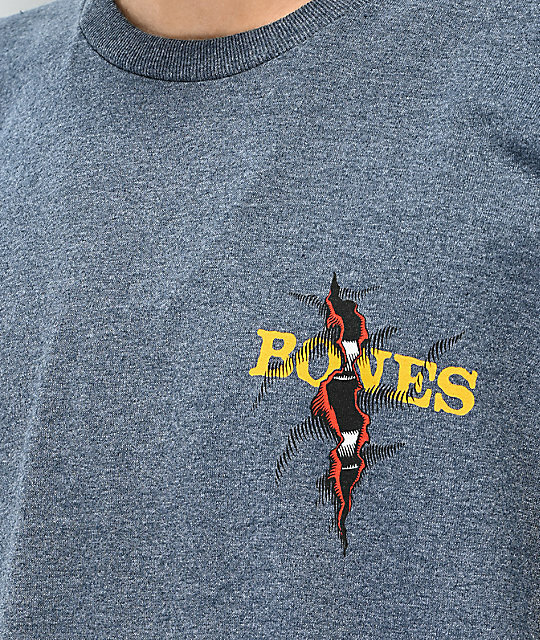 Exposed rib cage graphic with Bones logo script screen-printed at the left chest and back.